When do you think it starts being 'all about the shoes? 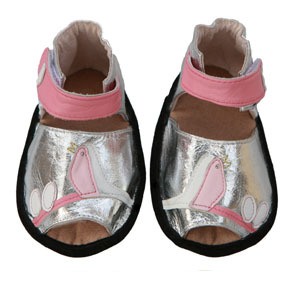 These dainty silver and pink baby girl sandals are on the just the start of a life long obsession! Please note discounted shoes are sold WITHOUT packaging.